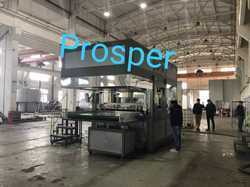 Our range of products include pulp molded bagasse tableware machinery, bagasse tableware machine, sugarcane bagasse plates making machine, bagasse tableware pulp molding machine, biodegradable disposable bagasse tableware pulp molding machine and fully automatic bagasse plate making machine. 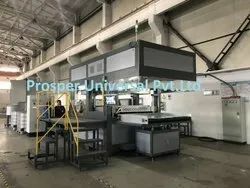 Up forming platen moving distance: 750mm. 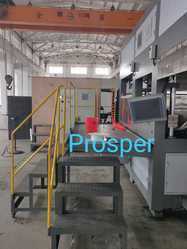 Moving distance: 400mm, minimum shut height: 120mm. 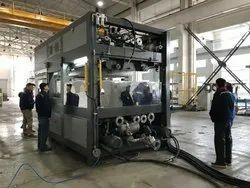 · Forming method: automatic reciprocating vacuum forming. 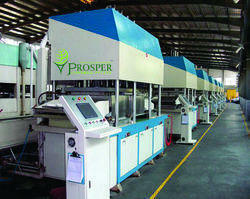 · Drying method: thermal drying and pressing. 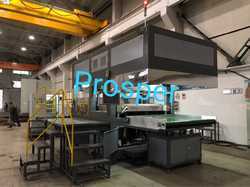 · Forming, drying and hot-pressing processes are continual completed in one machine automatically. · PLC + touch screen control; The main electrical elements are SIEMENS brand. Stainless pulp tank. 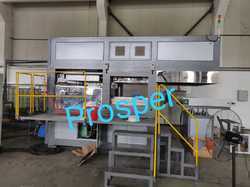 ·Left-right moving, up-down moving is cylinder driving, and pulping-absorbing is hydraulic way. The Capacity calculated base on 8” round dish(weight ~16g). The capacity may be different for other products. Workshop size is for reference only and could be adjusted according to actual size of client’s plant. 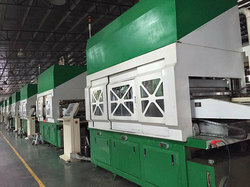 most technologically advanced pulp-molding machine available on the market. 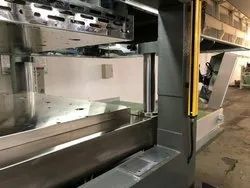 Full automation technology requires minimum labor input, while the large worktable produces the highest output available on the market. We have eliminated any need for secondary processes as we have automated both product trimming and tab punching. This technology drives down cost, increases output and quality, and provides the most hygienic manufacturing process. 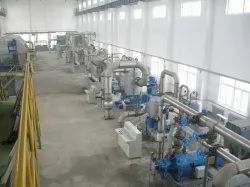 Looking for Sugarcane Bagasse Tableware Making Machine ?